The Asheville Cross Country Invitational opened on a warm, sunny morning in Black Mountain. The UNC Asheville men’s cross country team, wearing white and blue, were ready to race. 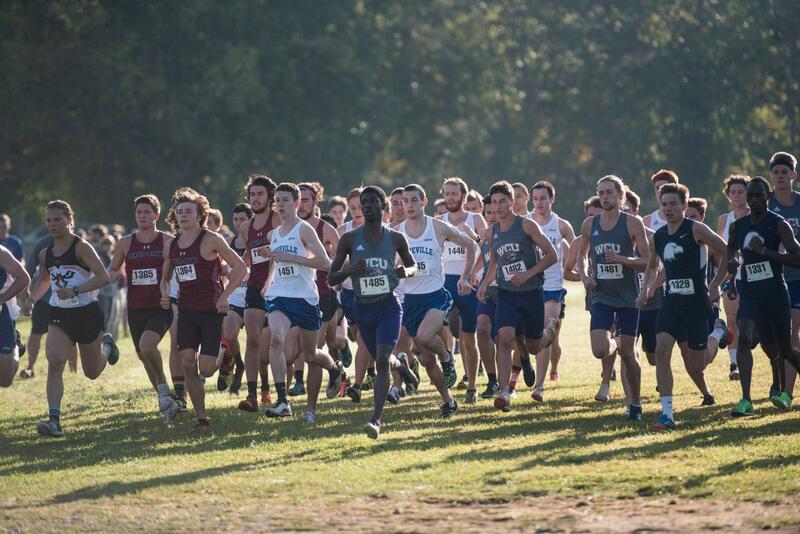 On Saturday, Sept. 23, UNCA hosted its only home cross country meet of the season during homecoming weekend. The men’s cross country team finished the home meet strong, earning a first place win with an average time of 21:08. Head Coach Jesse Norman said he was happy with the team’s performance. Norman said he credits the team’s success to Assistant Coach Adam Puett for giving the runners adequate recovery time, as well as Cameron Clark, their strength coach, who revised the weight lifting program. Dominic Collichio, senior health and wellness student, said he felt like he could have had a better race, but is improving every time. He finished with a time of 20:38. Collichio said the team trains together every day. They work as a group and push one another to train harder during practice. The training will only get harder as the season continues. Collichio said he feels like the team will continue to improve. Matthew Barrera, junior psychology student and distance runner, agrees training has been tough. He said the team is in great shape, especially so early in the season. The team has been working hard and it is starting to pay off on the trail, Barrera said. Barrera finished the homecoming meet with a time of 21:48, and said he felt like he had a solid performance. He did a good job working his way up the field, Barrera said, but would still like to improve in future meets. The homecoming win will hopefully give the team confidence as they prepare for the conference championship, Norman said. Collichio said he looks forward to running faster times and competing with the team at his last cross country conference championship. While he is happy with the team’s performance in the Asheville Cross Country Invitational, Barrera said what really counts is the conference championship. The UNCA cross country team will compete at the Big South Cross Country Championships in Lynchburg, Virginia on Oct. 28.